We are political strategists and technologists, storytellers and social entrepreneurs, committed to rethinking voter contact across America and improving the volunteer experience for our nation's leading progressive causes and campaigns. Michael is an organizer who excels at developing relationships. As a staffer on the Clinton Campaign in Michigan, Michael built and managed a volunteer organization that was 1,000% larger than the campaign’s stated goals. A passionate advocate for mental health and drug policy issues, Michael previously served at the White House Office of National Drug Control Policy. 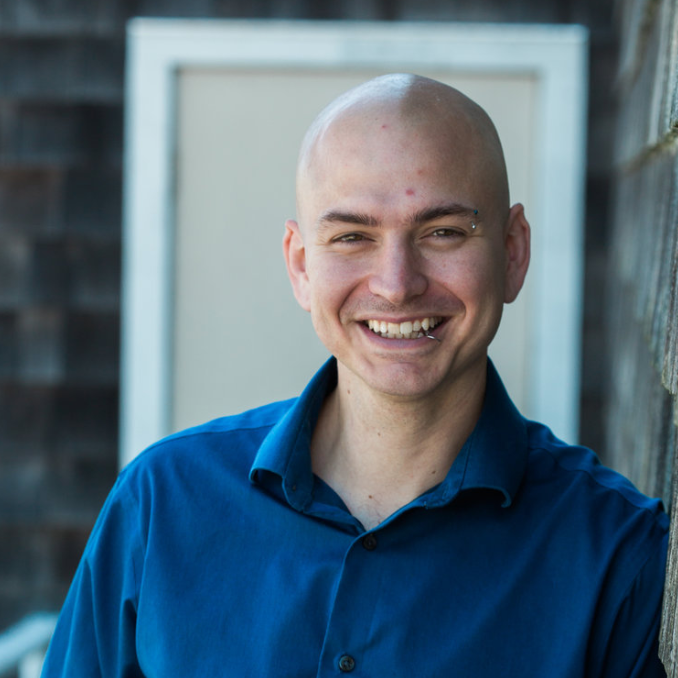 While earning his BA in Political Science from Williams College, Michael rowed on the crew team, learned Chinese at Fudan University, and became ordained as a Buddhist monk in India. Shola is a DC-based social entrepreneur whose career has spanned the public and private spheres. After earning her MA in Public Policy and International Law, Shola worked as a communications consultant in Paris. She then dove into policy with the Obama Administration’s National Economic Council. Following her stint at the White House, Shola spent 18 months working on business and strategy at POLITICO. Shola served as a Regional Director for the Clinton Campaign in Michigan, and then spent more than a year as a location-independent nomad in order to launch this business. A graduate of the University of Chicago, Shola is a people person who finds great satisfaction in fitting all the puzzle pieces of running a company together. Charlie is a world-class software engineer with a passion for using technology to improve the lives of ordinary people. He has put his professional skills to use in the finance, retail, travel, advertising and educational industries as both an in-house developer and a consultant. While he has taught himself to code in many languages, Charlie is also learning to speak Korean and Arabic. A native Texan, Charlie served in the U.S. Marine Corps and earned his BS in Applied Mathematics with Honors from the University of Chicago. Jordan combines his background in building early-stage startups with his passion for civic engagement. While earning an MS in Information Economics at the University of Michigan, Jordan worked at a venture capital firm where he specialized in digital security and infrastructure. After graduating, he started PawnGuru, a venture-backed startup that serves America's 30M underbanked consumers with over 400K users nationwide. Conor is a native Michigander who studied Economics at the University of Michigan. He started his career in analytics and tech, first in DC, then San Francisco. After spending most his free time in SF organizing folks fighting racism, he decided it was time to combine his professional and activist life. So he joined the Tuesday Company with the goal of using his experience to help elect progressive leaders. Conor always has a song stuck in his head (that he tries not to sing), loves to read non-fiction (that he tries not to ramble on about), and travel (and he tries not to talk too much about his summer in Europe in 2018). Kurt is a Democratic campaign operative, originally from the state of Utah. He spent four years organizing and running field programs for Democrats out west before moving to DC to join the Democratic Congressional Campaign Committee (DCCC). In the 2018 midterms, Kurt became the National Field Director for the DCCC and oversaw all of the congressional voter contact programs nationwide. The DCCC executed the largest voter contact program in congressional history and took back the House of Representatives in an historic election. Kurt is committed to expanding access to the ballot for disenfranchised communities, modernizing campaign tools/tactics, and winning elections for good candidates and causes. When he's not working, he's skiing, hiking, watching baseball, or finding a way to get out of town. Josh is a filmmaker and entrepreneur based in Brooklyn, NY. Jointly serving as Executive Producer at Snowday, a creative + production studio, and Creative Director at The Tuesday Company, his lifework is situated at the intersection of impact and storytelling. Josh believe that people and stories are precious, but is otherwise a pragmatic, process-oriented thinker. A proud alum of the University of Michigan, he received his BA in Organizational Studies and is infinitely curious about how our systems can be better built to serve all of humankind. As a queer storyteller with Midwestern + Christian roots, Josh strives for his art to reflect the intersectionality of our identities, holding up empathy and tolerance among our most prized, aspirational values. Jenny thrives on challenges and problem solving. She has a passion for using technology to solve some of the world’s most important problems. After working on the 2018 San Francisco mayoral campaign and helping to elect the city’s first African American woman mayor, London Breed, she recognizes some of the problems in the campaigning process and wants to do everything she can to make those processes better. She decided to quit her job at a big consulting firm to work in civic technology. Jenny is a part-time yoga instructor who enjoys cooking and painting portraits of public figures. Abi found her way to software development through her passion for mathematics and analytical thinking. She took this interest further than designing static websites when she started teaching herself Python in 2016. She is a current undergraduate in the Department of Linguistics at the University of Chicago, but is spending her year abroad in London. She will be beginning studies as part of a joint MS program in computer science this autumn. Abi speaks fluent French, and is learning Mandarin, Hebrew, and Icelandic. When she’s not studying or coding, she loves to take photographs, read fiction, and run along London's Regent’s Canal. Danielle is a field operative and proud Michigander, where she most recently worked as the one-woman-field-team in a competitive congressional primary win. While working toward her BPA at Wayne State University in Detroit, she served as a Fellow on the 2016 Michigan Coordinated Campaign. Danielle hopes to contribute to the solutions of our country’s pressing healthcare issues with the next generation of political leadership. It is this passion for policy that motivates Danielle to support clients with The Tuesday Company's cutting-edge voter contact tools. A tech enthusiast and a lifelong learner, Harsh is inclined to use his experience and knowledge towards causes he believes in. Harsh's father inspired him to become a computer scientist and his family support his efforts to study Information Technology in his native India. Prior to joining The Tuesday Company, Harsh earned his Masters in Computer Science from the University of Houston. Other than programming languages, Harsh is a native English, Hindi, and Gujarati speaker. In addition to engineering software, Harsh enjoys science, exploring new places, watching cricket and drinking Chai tea. Ananya got her start in progressive politics through organizing in reproductive justice and healthcare access in college. After earning her BS in Public Management and Policy at the University of Arizona, she went on to join the Data and Analytics team at Planned Parenthood Federation of America. Since then, Ananya has worked on campaigns in Arizona, Virginia, and California, and most recently comes from Catalist, where she worked in Client Services to make data and technology accessible to marginalized communities. Ella’s interest in policy and politics was first sparked by her experience working with artists and community leaders on Chicago’s South and West Sides. A native of San Francisco, she joins The Tuesday Company with a background in teaching and political messaging. In her most recent work at the National Democratic Training Committee, Ella developed content for an online academy that trains Democrats to run for office. A graduate of the University of Chicago with a degree in Economics, Ella loves playing soccer, going to the ballet, and practicing her Italian. Amber is a connoisseur of everything user facing: UX research and design, user testing and front-end development. She’s spent her career learning about the web and it’s users to create organized, efficient and testable products. As a Texas transplant she considers tacos a passion and hobby. When not standing in front of a laptop or whiteboard she is traveling to anywhere with a beach. Growing up breaking his legs frequently, Harry spent a lot of time inside; reading, playing with legos, and taking things apart. These interests led him to the Savannah College of Art and Design where he obtained a degree in Industrial Design with a focus on product research and innovation. He has a fixation on facets of life that we walk past every day without admiring such as; pigeons, public transportation, and the USPS. Steven wants to civically engage young people to build a democratic and progressive future. 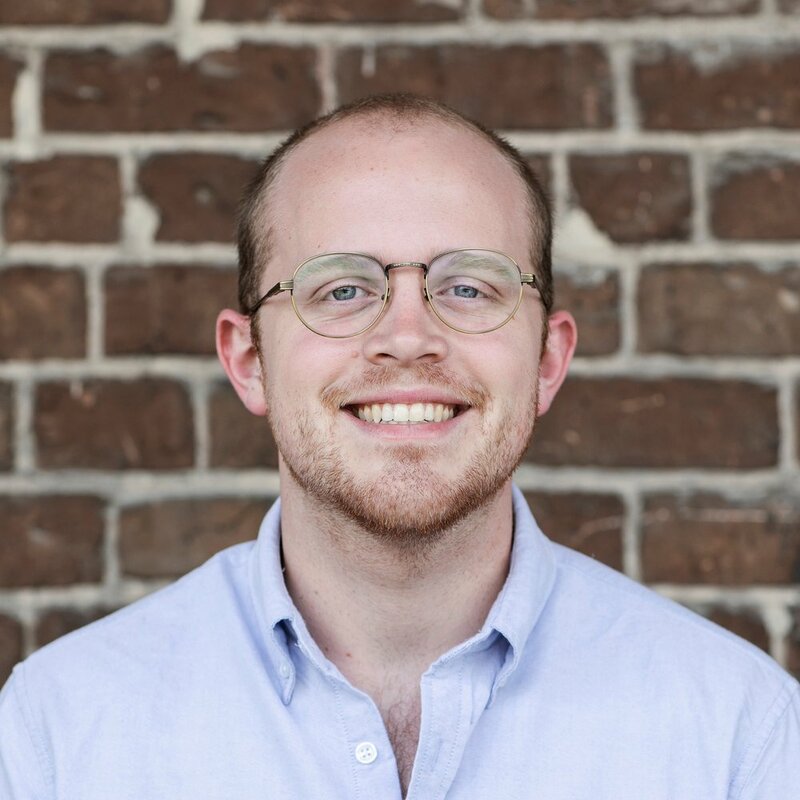 After earning his BA in Public Policy from Duke University, Steven became a Venture for America Fellow to learn how entrepreneurship can catalyze social good. He cares about using purposeful technology and empathetic design to strengthen democracies at home and around the globe. Originally from Phoenix, Arizona, Steven has lived in Oxford, England; Cape Town, South Africa; Durham, North Carolina; and Atlanta, Georgia. Steven collects passport stamps, once swam with hungry sharks, and is known to wear denim on denim. Rabiya found her métier as a full-stack software developer by merging her love of puzzles with skills honed working in urban architecture, design, and development of affordable housing in New York City. She finds joy in developing apps that are visually beautiful and elegantly coded. A native New Yorker, Rabiya's interest in group dynamics led her to earn a degree in social psychology from Pomona College. She has a deep-seated love of politics, animals, and films of all sorts - foreign, Indies, and blockbusters alike. Rabiya is proud to be a technologist advancing equal protection and representation for her fellow citizens. Christianne, known in our office as Tianne, began her career as a QA Tester at a taxi booking app in Cebu City, Philippines. She graduated from the University of San Jose - Recoletos with BS Information Technology major in Mobile Applications and Android Development. A recent transplant from the tropics to NYC, Tianne has a thirst for traveling, dipping her toes into new cultures, and making memories of a life well lived. In her free time, Tianne does photography and is attempting to recreate her version of Filipino cuisine. We also have a couple of pet snails who are working with us to help update democracy in America!